Some of us are old enough to remember Paul Simon’s groove – 50 ways to leave your lover – but in this feature, I challenge you with some ideas gleaned from industry, with 15 ways to enhance your personal safety tools – for pilots, engineers, support staff and, yes, company managers. Hopefully this insight and advice helps all of us approach the busier flying season of 2017 with a new perspective and approach to operations with tools that will keep us safe. 1. Are you fit for duty? The IMSAFE (illness, medications, stress, alcohol, fatigue and eating) mnemonic can be used as a daily reminder to check in with yourself every day you go flying. It’s easy to slip in these areas of personal care, especially when the forests start burning and the blades start turning. Just imagine if the pilot who was arrested on-board the Sunwing aircraft earlier this year after being inebriated in the cockpit had had a habit of checking his personal IMSAFE checklist before he went to work that day? It surely wouldn’t have played out the way it did. And what will the ramifications be following that gross error in judgment? How will the aviation industry and government accurately evaluate fit-for-duty measures for airlines and potentially other operators? This mnemonic can’t exist in a bubble. Challenge your coworkers to consider its use. And if you see your work mate is fatigued or working while ill – don’t let them put themselves in harm’s way, either. 4. Survival of the fittest. Too many companies pay lip service to survival training and other aspects of the traditional health and safety requirements of the workplace. Before the season ramps up, review your training and qualifications for WHMIS (Workplace Hazardous Materials Information System), TDG (Transportation of Dangerous Goods), First Aid/CPR, personal survival gear and overnight survival training. Review your survival equipment as well and always dress for the weather. Think of it this way – dress for the overnight in the bush, not for the 30-minute flight back to base. 5. Pre-prep part II. 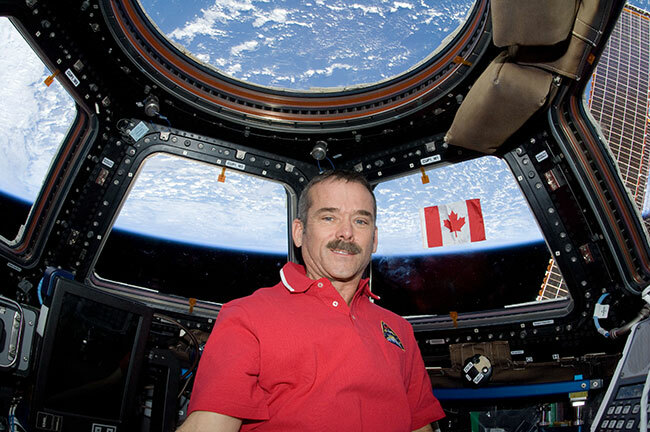 While we are on the topic of pre-season preparation, I want to revisit the words from a guest speaker at the CHC Safety & Quality Summit in 2014, my old classmate commander Chris Hadfield. Chris spoke of his experiences as an astronaut and of his time on the International Space Station but the one item that really stuck with me from his presentation was his admonishment that the best way to prepare for failures was to accept that they would occur and prepare, prepare, prepare for that eventuality. This means taking the gist of Tony Kern’s push towards professionalism and applying it with the tenacity of a NASA astronaut. Stack the deck for a successful and positive outcome by thinking through and working out the failure scenarios well in advance. Practically speaking, what does this mean? It means deciding how you will deal with a mechanical failure while on the job. It means working out an exit route in the event of deteriorating weather. It means thinking about what can go wrong today and coming up with a solution today before going flying today. This discipline can lead you to consider all the threats you will face and the errors you may be prone to make. It will help you come up with strategies to capture them before they bite you. I have written previously about threat and error management and why I consider that paradigm – one that provides a great risk management mindset during flying operations. I encourage you all, and this applies to pilots and AMEs alike, to read up on this concept and to follow commander Hadfield’s lead – to over-prepare for the eventual failure – and to stack the deck in your favour. 6. The MRO perspective. 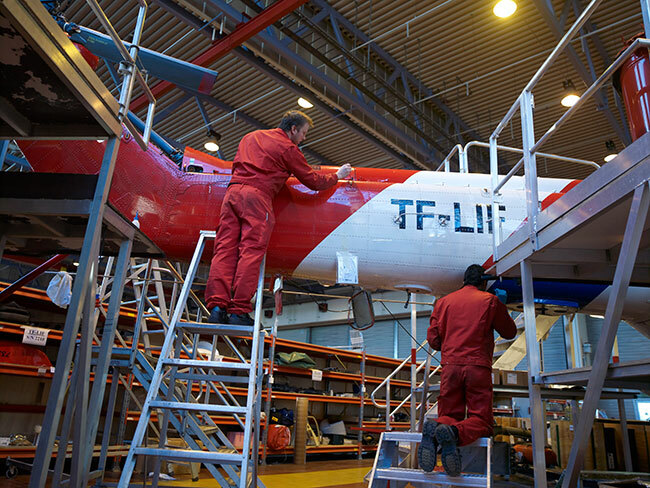 Aircraft maintenance engineers (AMEs) play a critical role in the helicopter industry and much of what has already been highlighted in this piece can be put to use by them. In some ways, the challenges for AMEs are more insidious but the consequences are equally grim. The message for our AMEs is simple: consider the threats of ensuring the aircraft is airworthy when it is released into service and the types of errors you could make that could result in a negative outcome. Consider the IMSAFE checklist – especially the “F” factor, fatigue. Engineering teams work hard and put in long hours, often in “challenging” work environments, away from the base, away from home and with the revenue pressures leaning on their shoulders. Extended workdays are the norm and fatigue can be commonplace. Very few companies have mature, fatigue risk management programs and even fewer customers place the same limits on the duty days of the engineers that they do for the pilots. To my truck driving, wrench turning, all-night-working maintenance colleagues I say, bravo but be aware! 7. Know your threats. A recent study from the International Air Transport Association (IATA) Safety Report found “. . . that in 26 per cent of airline accidents, a maintenance-caused event started the accident chain.” So, let’s recap (and review) what the most common maintenance errors are: incorrect/incomplete installation of components; fitting of wrong/worn parts; electrical wiring discrepancies, damage on installation; loose objects (tools etc.) left in the aircraft; component/part not installed or missing; inadequate lubrication; access panels or cowlings not secured; fuel or oil caps/panels not secured; and equipment/system not activated or de-activated. It’s also prudent to consider the use of an excellent investigation framework, developed and championed by Boeing. The Maintenance Error Decision Aid (MEDA) “. . . is a tool for investigating the factors that contribute to an error – maintenance organizations can discover exactly what led to an error and remedy those factors. By using MEDA, operators can avoid the rework, lost revenue and potential safety problems related to events caused by maintenance errors.” Many companies that have adopted this tool have reduced the incidence of maintenance error and saved money, helping to sustain profitability and a competitive edge. Consider these categories, review your own incidents/occurrences against this list and devise strategies to manage the risk of falling prey to the same causation factors. Knowledge is power after all. feedback as valuable input into the makeup of your operation. After all, it’s about confirming that your maintenance practice is a good maintenance practice. Better yet, do things the correct way and follow your published maintenance manuals and industry best practices to avoid the findings in the first place. 9. A personal toolkit. Don’t forget to review and inspect your personal protective equipment. Companies are obliged to provide it and employees are obliged to wear it. I still find bench grinders with no guards, “bump caps” on workbenches, safety glasses in toolboxes and wedding rings on fingers. We all know at least one engineer with fewer digits than they were born with – and others who were scarred or otherwise injured from their decision to disregard the protections provided by PPE. Also remember hearing protection – jet engines destroy ears. This admonition extends past the hangar floor and into both the cockpit and helicopter cabin. We need to ensure that our passengers are protected as well. 10. Housekeeping tips. Every summer, an engine is damaged because of poor tool or rag control. If you work for a small operator this could be catastrophic to the business or to your employment. And never forget that this type of non-forecast maintenance cost can place a huge burden on the operation, introducing stress and operational pressures that only serve to compound the errors. Consider introducing sound tool and rag control policies and sticking to them. FOD walks and other controls help reinforce the need for disciplined workplaces and will reduce the possibility of unnecessary, non-forecast and costly maintenance events. 11. Understanding ops. Proper maintenance of operations gear is also something that needs to be considered. While most companies have clear policies in place for post-winter annual inspections of the slings, lanyards, cables, buckles and the like used in vertical operations, it is vitally important that regular, indeed daily, inspections take place. The use of deficient ops gear can have dire consequences and any loss of load is costly, embarrassing and potentially deadly. Never take your ops gear for granted. 13. In the heat of the night. Instrument and night flying abilities are the ultimate perishable skill in our industry. Take the opportunity whenever possible to hone these skills by flying approaches in day VFR, without flight directors, or by executing approaches that you don’t normally fly. In the EMS world, don’t wait until your annual SIM training to hone your IFR knowledge and in the offshore environment, approach your night training sorties with vigour. My daughters’ skating coaches used to say that perfect practice makes perfect – and that certainly applies here. 14. A question of risk. Risk assessments are great tools to raise awareness of the hazards you face on a regular basis. Some operators actually mandate Pre Flight Risk Assessments (FRAT) for everyday a pilot heads out flying. These mini-checklists don’t take much time to complete and may have a need for management oversight or approval prior to dispatch. Don’t roll your eyes – these tools serve a valuable purpose because they absolutely make the hazards to be faced on any given tasking overt and conscious. The key tool in managing risk lies in identifying the hazards we face and the FRAT tool helps. The HAI website (www.rotor.org/fra) offers an online tool that can give you an idea of how to design/use this great dispatch and decision-making aid. 15. Importance of SMS. Safety management systems (SMS) exist to make us all better. Be an active participant in your company’s program. Get involved in risk assessments and review your company’s hazard registry. Review and commit to the safety policy and safety goals. Be a “reporter” – file safety reports so that all of your colleagues can benefit from your experiences, so that your AMEs know what’s going on with their aircraft and so that your customers have confidence that your company is providing the best service possible. Again, communication is key. Properly understanding the threats in your work environment is paramount to safe operations. 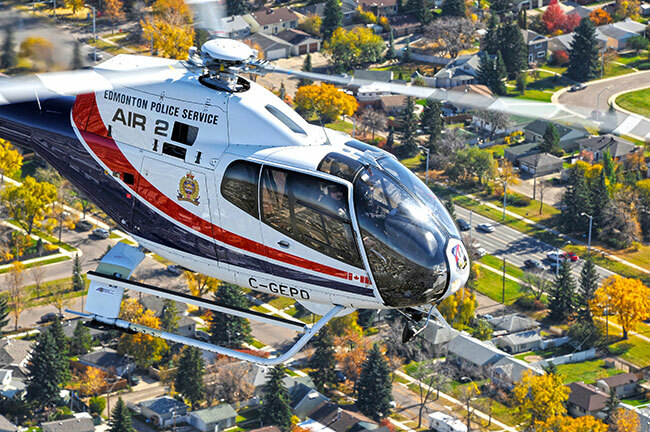 In 2016, (from the CADORS database), there were 27 accidents involving helicopters with three fatalities and 11 injuries. The accident rate was down, largely driven by the significant downturn in the economy. 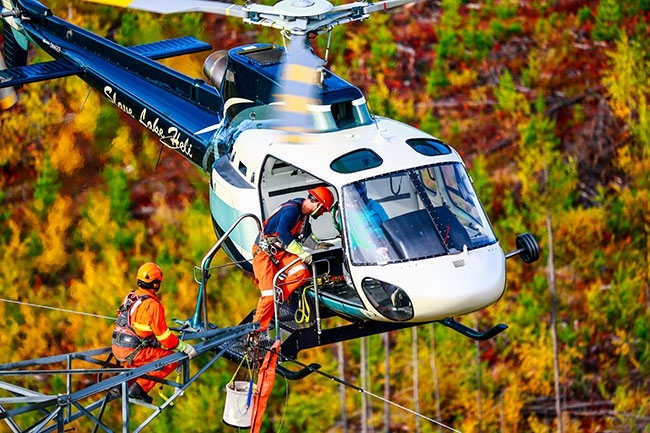 The International Helicopter Safety Team (IHST) reported the continuation of the downward trending in the accident rate as well, expecting 3.3 accidents/100,000 flight hrs., which represents a 33 per cent reduction in accidents since 2013. Recently, the Conference Board of Canada reported that there is an expectation of an uptick in economic growth in the exploration, mining and oil and gas sectors this year, which will inevitably lead to a similar increase in helicopter activity. Take the time to consider safety strategies, hazard identification, risk assessment and other mitigation measures that help raise the overall consciousness within our industry – and amongst ourselves.